Adams Morgan DC is a culturally diverse neighborhood in Northwest Washington DC centered at the intersection of 18th Street (One of my real estate brokerage office Keller Williams Capital Properties is located at 1918 18th St NW Washington DC 20009) and Columbia Road. This area is definitely not short of bars and restaurants which are some of what draws home buyers as well as people into the area. So should I buy a DC Condo or house in Adams Morgan DC? 77 Adams Morgan houses for sale were sold in November 2013. This same time last year 76 houses ifor sale in Adams Morgan DC area were sold which is pretty much the same amount. Out of the 77 Adams Morgan DC houses that were sold,64 of them were Adams Morgan DC Condos. Average sold price of a Adams Morgan DC house was $647,630. This is more than $62,000 than the average sold Adams Morgan DC sold this time last year which was $584,536. Average days of a Adams Morgan DC house on the market was 32 days in November 2013. That is compared to last year when the average days of a Adams Morgan DC house on the market was 28 days. 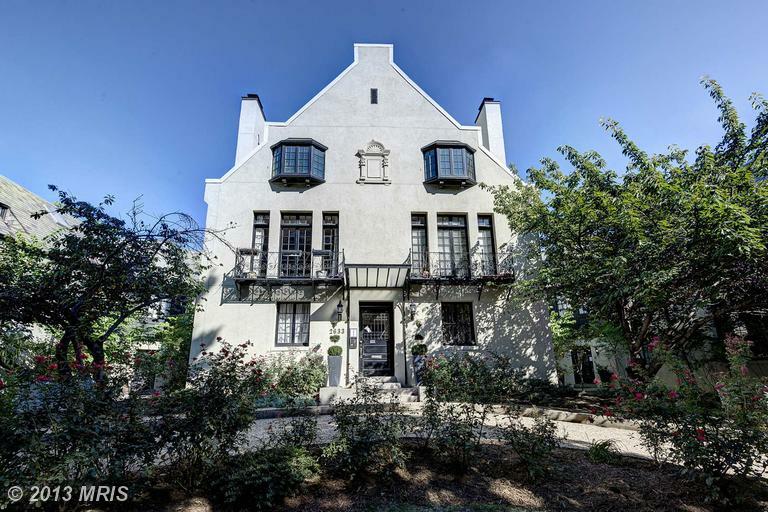 57 of the 77 Adams Morgan/Dupont Circle DC Houses on sale were all sold 30 days or less. All except for 1700 Euclid Street are Adams Morgan DC Condos that are still being built in the area. Capital City Real Estate developed 1700 Euclid Street Condos. It is going to be a 19-unit project comprised of one, two and three-bedroom units starting in the mid-$300’s. A few penthouse units will have multi-level roof decks. The developers bought up the space, which housed a corner market, in August 2011. Ontario 17 Adams Morgan DC Condos is going to be a six story 80-unit mixed-use building on the site of the former Ontario Theater in Adams Morgan. As it is planned right now, the building will be mainly comprised of one-bedrooms — including lofts and townhouse-like units — along with a handful of studios and two-bedrooms. Several of the top-floor units will have spiral staircases leading up to a private rooftop terrace area-That's so nice. Delivery date for Ontario 17 Adams Morgan DC Condos is sometime in 2015. The Corcoran at 14th Street Corridor is going to be a seven-story, 40-unit condo building with ground floor retail at the site of a current Zipcar parking lot. Delivery date is expected to be 4th quarter 2014. Central Union Mission will be a 51-unit condo project at the current site of the Central Union Mission-14th and R St NW Washington DC 20009. Some units will have a loft type feeling and some will be two-story duplexes. Delivery date is expected to be Summer/Fall 2014.